Well, Horst Architects and Aria Design were able to give the homeowners the house of their dreams. The house is comprised of a main house and a detached guest house that are surrounded by a series of connected courtyards. It has sliding and concealed pocket doors which allow unobstructed view of the surrounding. The home’s interior and outdoor spaces are orchestrated by balancing views and communal space with intimacy. Let us take a short tour of the house through the images below. The house has a series of courtyards that connects it to the outdoor world. Its sleek lines and materials contribute to the home’s stateliness and grandeur. 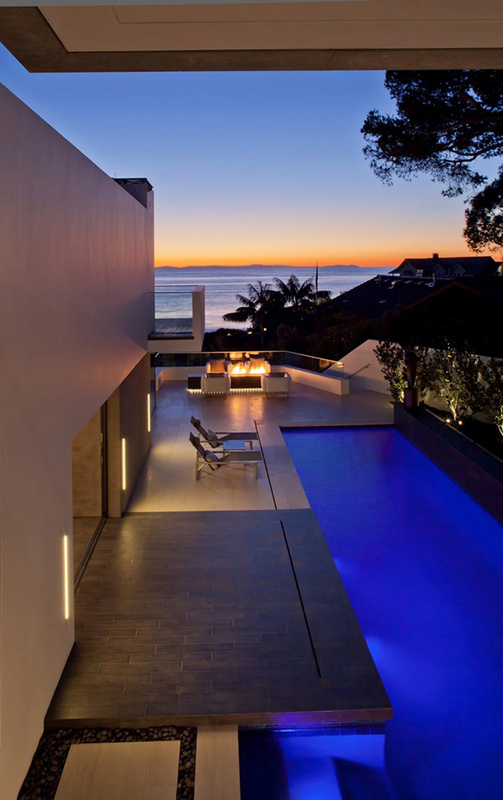 This pool creatively used lines to form a modern pool area that seems to extend the coolness of the ocean. 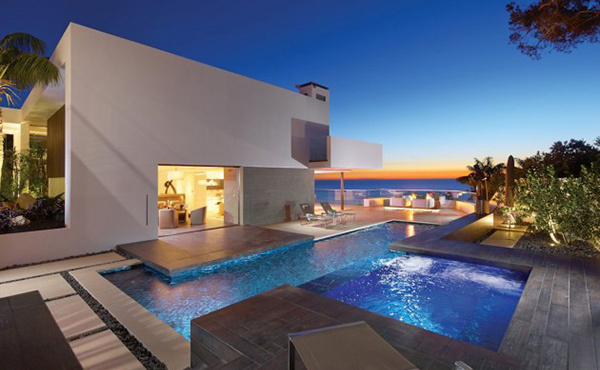 What could be more fulfilling than a house near the beach with this lovely view? 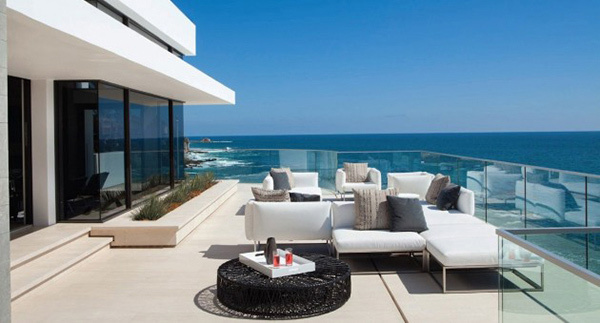 From the second floor of the house, you could see this terrace with glass railings utilizing white outdoor furniture. Glass surrounds the living room framing the beauty there is from outdoors. The interior has a modern design creating an updated and relaxing aura. Grays are seen all around the living area from the sofa to the area rug. It matched well with the gray linings on the wall and glass framings. 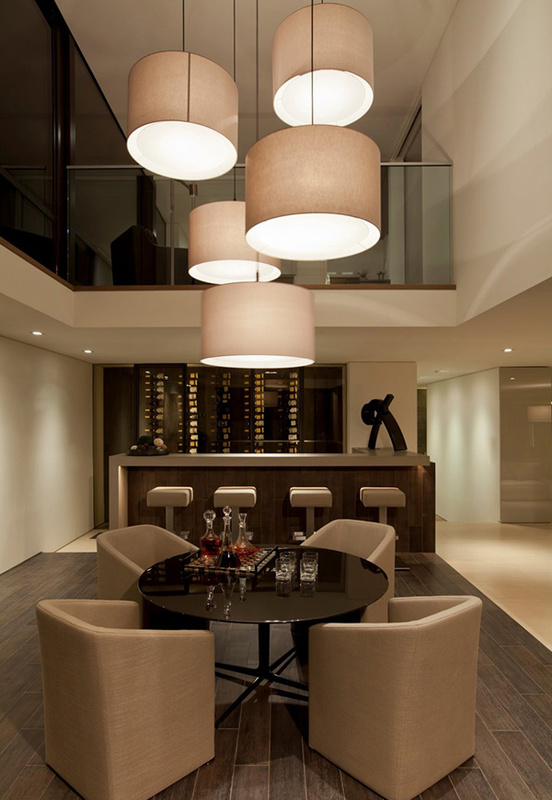 The dining area is adorned with a nature-inspired pendant light and white dining set. The geometric design of the dining table’s legs look clean and modern-ish. An eat-in kitchen in gray and white where a wooden island with white counter height chairs are also found. One part of the living area was created as a working area for the homeowner. We love the wall shelves and storage at the back of the table since it looks clean and artistic. The home bar has a simple contemporary style where a table and a set of chairs were also added for hours of fun and drinking sprees. From the working area, one can get this lovely view of the beach which sure is an inspiring sight. 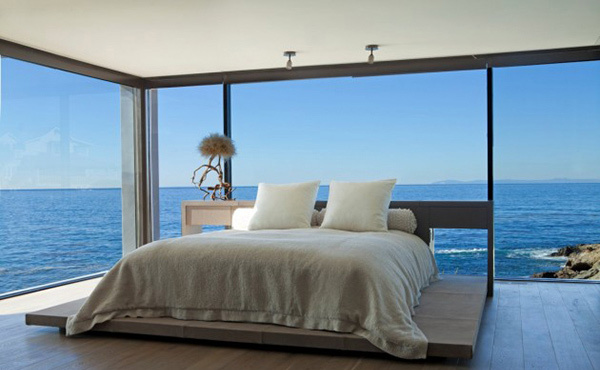 If you think there isn’t any privacy in this bedroom, worry not because there would be blinds or drapes that are pulled off to cover the glass when privacy is needed. 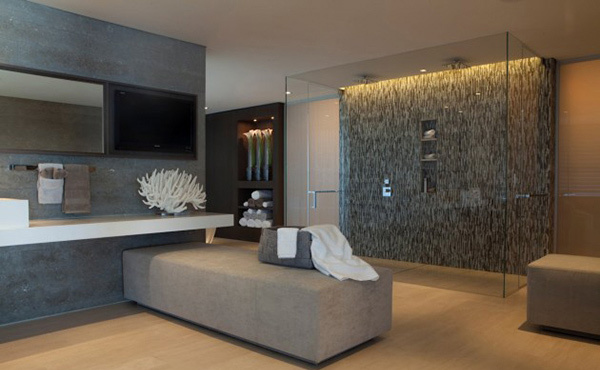 Don’t you just love this lounge area in the bedroom? It also utilized glass for the railings on top of its concrete. 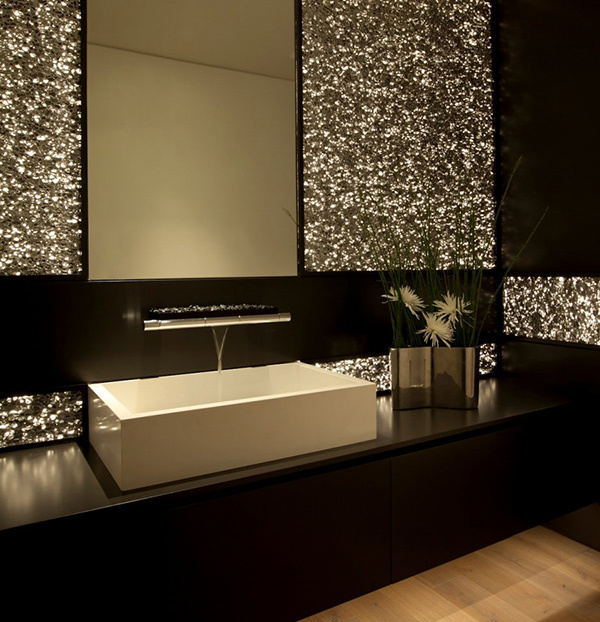 Mosaic wall tiles are used for the shower area enclosed with glass. This bathroom has warm colors in it from the floor to the furnishings. A bathroom vanity has a good amount of glitter on the walls that looked good with the browns in it. 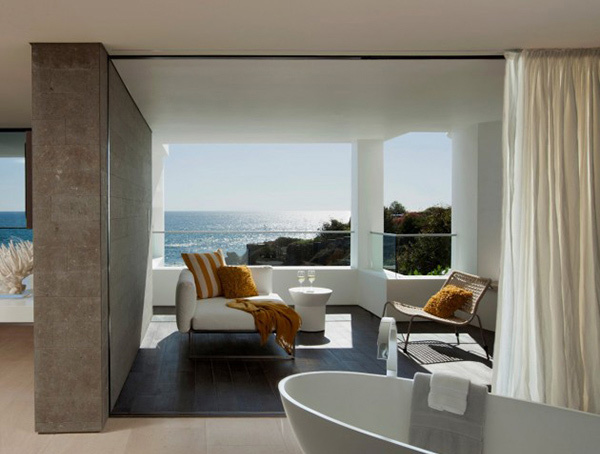 The Horst Architects together with interior design firm Aria Design were right when they defined the house as a “place of meditation where one can contemplate the ocean and sky” because we can see that from the design of the home’s interior and exterior. 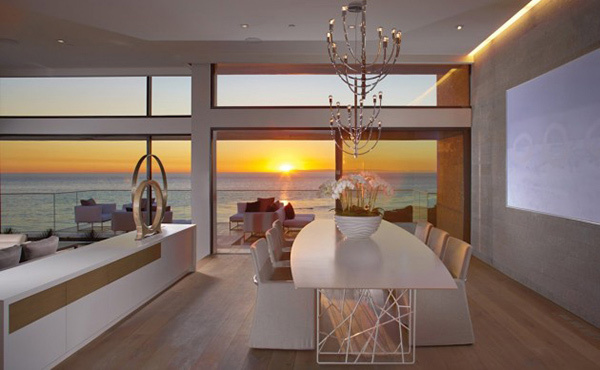 Its mild coastal climate also created the opportunity for the seamless integration of the spaces of the house. All in all, this is one house that could be a perfect source of inspiration for your dream home.